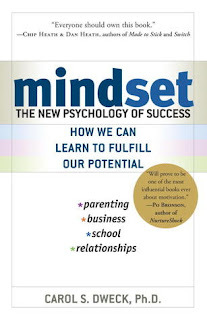 Mindset: The New Psychology of Success by Carol Dweck is a book about learning. It's a book about how people can learn their whole life when believing in learning and growth. 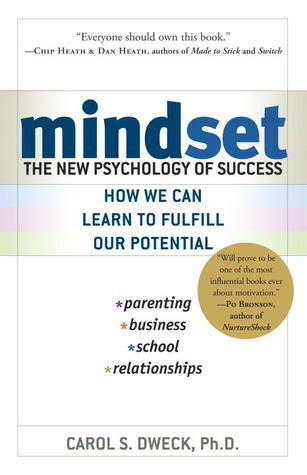 Book talks about two different kind of mindsets; the fixed mindset, which means believing that talent is given and born, and the growth mindset, believing that people can always learn to be better on everything. Book goes through examples and science behind it from many different views. It looks sports, business and arts. It introduces many good examples of people who are in growth mindset and some who are in fixed mindset. Book goes through how this mindset difference affects on people's behavior in different challenges and daily routines. It also introduces reasons why people has grown in to either fixed or growth mindset. Book has its own section for parents, coaches and teachers. I see parents to be most important ones. They can accidentally grow their children easily to fixed mindset with having good intentions to grow to be successful and open for learning. Giving credit for good grades for example can turn against the child, so that they are not taking challenges anymore in the future, since they become afraid of not being good at something. I actually believe this to be true, many of the people who got the best grades at school, haven't taken the challenge anymore at the work life. I highly recommend this book to everyone who has kids, is a teacher or is a coach. There is lot of proof that genes don't mean everything and everyone really can learn. Also important is to understand that for learners, willingness to learn is more important than the immediate results and grades. I really liked the book. It was entertaining with many good examples. I've read couple of books about the same subject from different perspectives , so the area starts to be familiar to me. Still I found some good new information from this book. It was entertaining. Latest book I read was Green Illusions by Ozzie Zehner. For once it was a book I have no preconceptions and I didn't really have a clue what was coming. I don't even know how I actually picked it up and ordered it, but I'm glad I did. 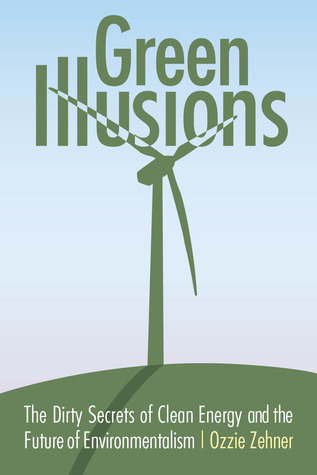 Green Illusions is a book explaining what current green initiatives there are ongoing in the world and why many of those will never solve the actual problem of us ruining the globe. It goes through in very detail solar power, wind power and all other electricity based green thinking ventures. Book is provocative and maybe even exaggerating about some of the things, but it definitely makes people think. Raising thought is the sole purpose of the book, so I at least forgive the colorful and bit overstating way on looking at these things. I don't believe all the things are so black and white as proposed in the book, but I do undersign most of the thoughts from the book. Book goes beyond normal green thinking philosophies as it talks about women's rights, population growth, cutting consumption and lot more. It is a comprehensive look on what the problems currently are, why the current solutions don't work and what are the best things to start with for the future. It is an excellent book and really glad I read it. It is bit too much looking the world from American perspective, but that is understandable from the writers background and also because US is big part of the problem and the solution. I recommend this book to everyone. I don't see who shouldn't read this. I really hope this raises thoughts within everyone's head. Maybe this book gets people to not to buy the second car or from building too big house or even cutting the trees from shadowing houses. It is provocative book and no one should buy everything from the book without thinking, but there's a lot to learn for everyone here. Please read it.